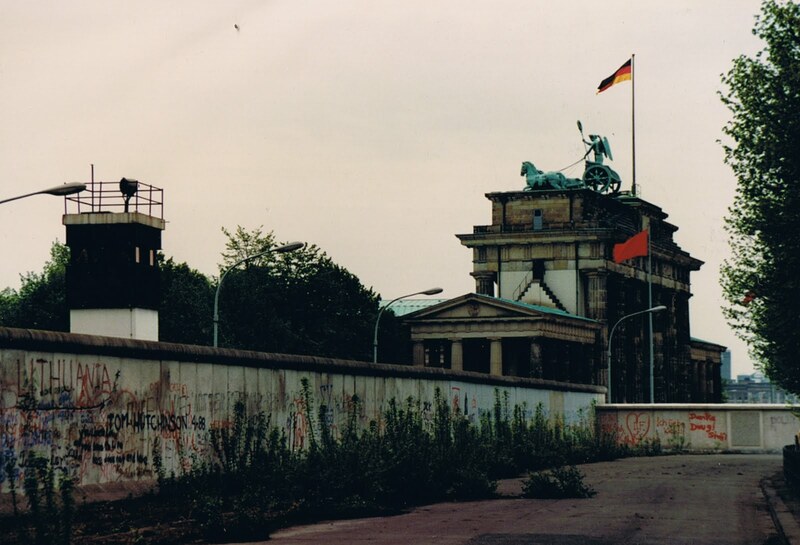 Today, August 13th, 2011, is the 50th anniversary of the building of the Berlin Wall. It took only 9 days until it was basically completed - virtually overnight - and over 28 years it killed at least 136 people. The border strip was armed with machine guns, automatic crossbows, mines, alarms, and electric fences. How senseless it all was. When I was about 12 years old my family and I were in a small village near the East German border. I noticed some camo-wearing soldiers army crawling with their rifles through a wheat field and I walked over to ask what they were doing. They were American. One's reply, with a gesture toward the tall watchtower on the eastern side: "We're just watching them watch us." 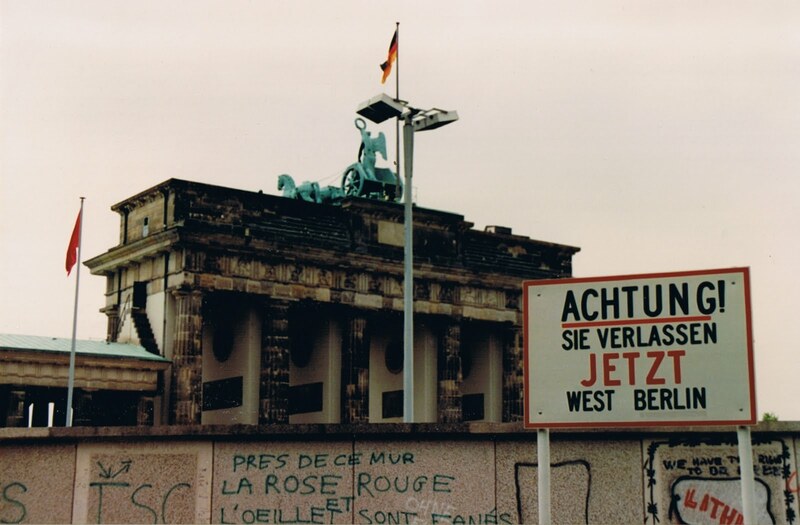 On a backpacking tour through Europe when I was 24, I took a train from Hamburg to Berlin across East Germany. Randomly, the train would grind to a stop in the middle of nowhere, and we would wait and wait. Nothing would happen. It was just a scare tactic. Occasionally on these stops, however, the Stasi would board and search our train cabins. They tapped the ceiling panels and looked under the seats. They ran long handheld mirrors underneath the train cars to see if some poor East German defector was clinging to the axles for dear life. 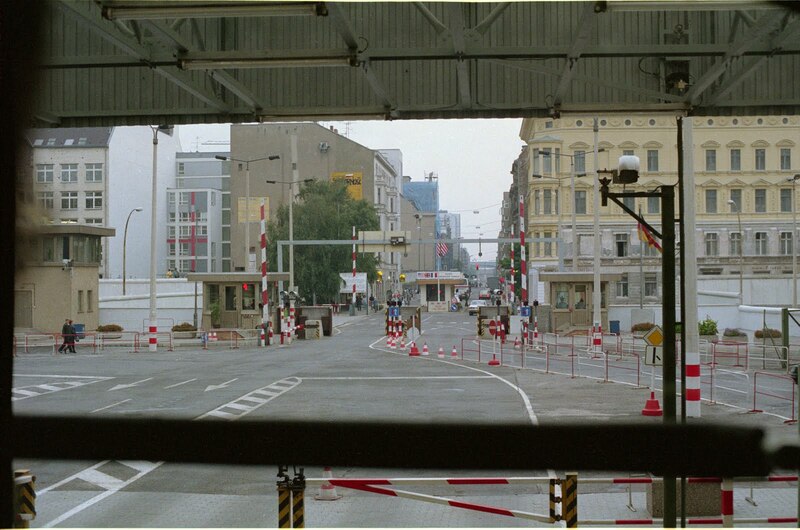 Checkpoint Charlie from inside East Berlin. An aunt of mine had family in the area where the dividing line between East and West was drawn. The family was literally split in two. Fortunately in this particular location the wall was not heavily fortified, in fact it was chain-link, so relatives could occasionally greet each other through the fence if they kept at least 30 yards away. It was all so absurd. There are commemorative services being held throughout unified Germany today. Flags are being flown at half mast, a minute of silence is being observed at noon, and wreaths are laid at the small sections of wall still remaining as memorials. That is fascinating. Thanks for sharing. I listened to a documentary on the BBC about the day they built the wall. It's just so crazy. One day some, well, CRAZY people decided to build a wall and divide a country. And that story about the Stasi, OMG. Thanks for sharing.